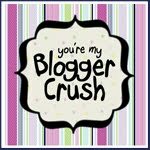 Before I start talking my head right off, let me recognize the person who designed my blog’s new look! Shay Bocks with Dumplin Design Studios deserves a standing ovation, but since the laptop is in my lap, I am going to profusely thank her in letters and spaces. She created my little blog world and I am so grateful. I initially told her that I wanted a gigantic hot pink Daffy Duck giving a very small blue Big Bird a high five as my backdrop and Macarena playing as background music. She gently steered me in another direction without making me feel like a complete nincompoop (now I really feel like a nincompoop for writing the word nincompoop. Nincompoop. Nincompoop. Nincompoop). I wasn’t sure that I wanted to have this blog professionally designed at all. Who do I think I am anyway? It’s just that after seeing how Shay spruced up my sister’s blog, Social-o-Logy Invitations & Design, I was inspired. Did I mention that Shay is very creative, patient, reliable and easy to work with at all times? No? I should have! After receiving the horrible news that a tiny blue Big Bird wasn’t going to be in my blog’s future, I received happy news. I received two blog awards by Days on the Creek! It is always nice to receive recognition from other bloggers, especially when you are still a freshman in Bloggers High School. Tennessee Mom at “Days on the Creek” has lots of witty things to say and has also recently written a little ditty about grocery stores! Stop by and say hello. She’s ree-yul nahs! I eat a KitKat layer by layer. I get stressed thinking about all the digital pictures I have not uploaded, put into photo books, etc. If it weren’t for Facebook, books and now this dang blog, I’d have a perfectly organized shelf full of photo albums. In elementary school, I used to sleep with a bag packed with a change of clothes and books and other things I loved, just in case there was a fire, I wouldn’t lose these precious things! Hey, there is more to remember than stop, drop and roll. I like Fruity Pebbles and wished it was as good for me as Grape Nuts. I feel guilt every time I go down the cereal aisle and pick Froot Loops instead of Seaweed and Berries. I have a really, really heinous Tupperware cabinet. I fear for my little dude’s safety, as I know he’ll crawl over there before long and have to be dug out from under the mountain. I love to be around people that can make me laugh until I cry and am fortunate to know many (and to have met many more in the blogosphere). I do not like olives but wish they’d make an Olive Oil Frappucino at Starbucks. I wish I knew more 2- and 3-letter words in Scrabble. 3. Share this award with 10 other bloggers that you think are fantastic. Like all of you, I am drawn to many different types of people and blogs. I tend to keep my blog focused on silly stuff. I could write about my views on lots of different topics (and, believe me, I have ’em), but I choose to just keep it light on this blog (unless you ask…then we’ll get down to some discussin’). Below are some blogs written by people I have just “met”, people that don’t know I exist and people that are dear friends of mine personally. I turn to these for some inspiration, wisdom, sweet stories, parenting tips and/or some really good laughs. Some of them downright just make me blush. Go on over THAR and give ’em a big huh-uhg! And, yes, I realize that some of the recipients of these awards are men and probably do not want to be considered “sugar dolls” and may feel uncomfortable with a “blogger crush”. I imagine neither of them participate in blog awards anyway. Still, I wanted to give them some traffic because I find their sites so amusing! Nah, y’all get own outta hee-yer and go have fu-uhn. Thanks for stopping by nah-yow!